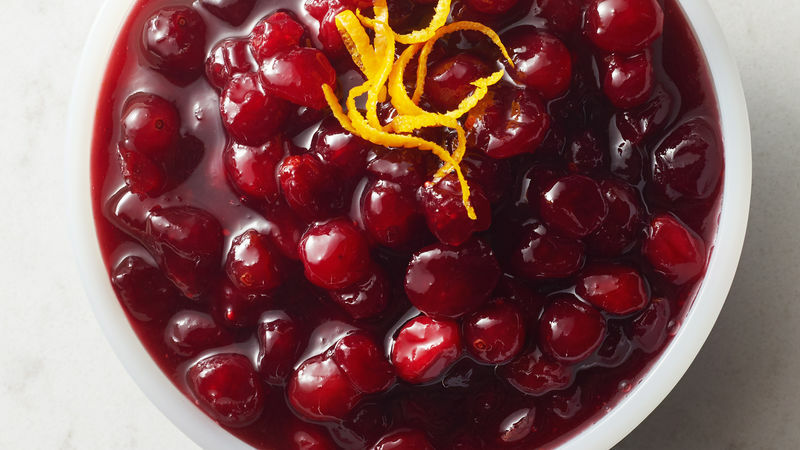 In nonreactive 4-quart saucepan, mix cranberries, sugar, orange peel, water and lemon juice. Cook over medium-low heat, stirring frequently, until juices start to flow and sugar is dissolved. Increase heat to medium; simmer 6 to 8 minutes longer, stirring occasionally, until cranberries pop. Stir in liqueur. Refrigerate about 1 hour or until completely cooled. Leftover cranberry sauce can be stored in the refrigerator for up to six weeks. The acid in the cranberries and the added sugar help preserve the sauce. Use it as an accompaniment to poultry, pork or ham. Cranberries are native to Massachusetts and were part of the diets of the early colonists.